To me at least the phenomenon of historical fiction which features somewhat feisty females is easily understandable. If you read much actual history, including contemporary primary sources from just about any time before the 20th Century (and a good deal of the stuff written after 1900 too) women don’t appear all that often. When we do we’re generally in the background being demure (if we’re lucky) or being traded like chattel and abused in every way imaginable (when fortune does not smile so kindly upon us). So it doesn’t surprise me that female crime writers enjoy creating imaginary worlds of times gone by in which women participate more equitably in world affairs than reality might have allowed. One of my recent, and newly favourite, discoveries in this genre is Ariana Franklin who was introduced to me by Norman from Crime Scraps Review (who single-handedly reignited my interest in historical fiction after I’d abandoned the genre many years ago). Franklin is a pseudonym for journalist and writer Diana Norman who sadly passed away earlier this year. So far I’ve read three of the four adventures set in medieval England in which a woman, the rather magnificent Adelia Aguilar, shines. She is part of a team sought out by King Henry II to investigate a gruesome death which is being blamed on the Jewish population whom Henry is sick of offering protection because while he is doing so they’re not out earning money with which to pay him taxes. Adelia is said to be able to ‘read bodies’ which is the skill she brings to the table. The basic facts of Adelia’s character, including her being trained as a doctor in Italy, are allowed for by historical record according to the Ariana Franklin website. And who knows…the other aspects of her unconventional character such her forwardness, eschewing of romance and disdain for organised religion might well have appeared in real women of the 12th century though we’ll probably never know because they do not make copious appearances in the few contemporary sources remaining. But it’s pretty difficult to imagine that there haven’t always been at least a few women wanting something more than a life of slavery and playing second-fiddle to men. Franklin also wrote a standalone novel called City of Shadows which purports to tell the tale of the last living granddaughter of Tsar Nicholas II of Russia. I do own this one but haven’t read it yet either. 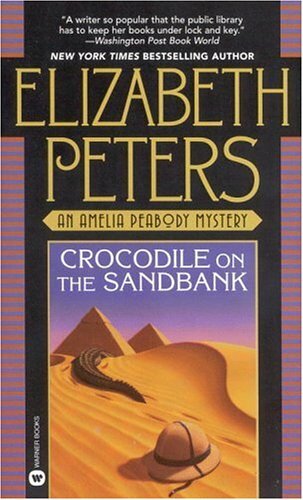 Elizabeth Peters whose novels featuring wealthy heiress Amelia Peabody and her implausible but delightful adventures in the archaeological digs of 1880’s Egypt are a treat I still enjoy. The first book, Crocodile on the Sandbank, was released in 1975 and the 19th book in the series was released last year. Of course Amelia is just a little over the top but I can’t help but get swept up in her various escapades, helped along by the exotic locations and Peters’ attention to detail. 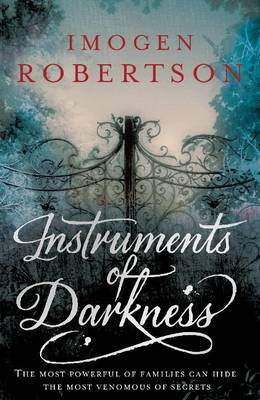 Imogen Robertson whose novel Instruments of Darkness I read last year and thoroughly enjoyed. It’s set in England in 1780 and features as one of two investigators Mrs Harriet Westerman who runs her family estate while her husband is off at sea with the Navy. She does what has to be done and stands up for those less able, even when it gets dangerous for her to do so. 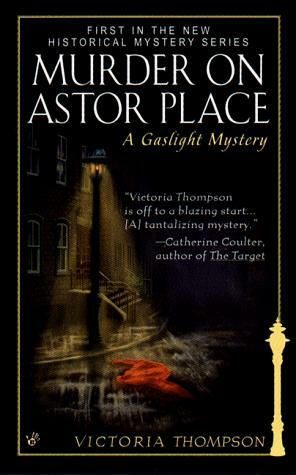 Victoria Thompson whose first mystery set at the very end of the 19th Century and featuring a New York midwife, Sarah Brandt, was called Murder on Astor Place. Sarah, who has been widowed before the book begins, is estranged from her wealthy family and so has to stand on her own two feet from the outset when she alone tackles an investigation into the murder of a young girl (after trying and failing to get either the police or the girl’s parents interested). I somehow lost track of this series but realise there are now 14 books to try, all seemingly named after famous New York streets. This entry was posted in Ariana Franklin, Elizabeth Peters, Imogen Robertson, list, memes and challenges, Victoria Thompson. Bookmark the permalink. I was a big fan of the earlier books in this series. Not so much the later books. I also liked the books I have read that was published under the name Diana Norman. I loved the first Ariana Franklin book and have the second and third waiting to be read. I was a bit put off reading them after reading reviews that they aren’t as good as the first – and I have so many other books waiting to be read! I’m tempted now to start the second one. Are they just as good as the first? Bernadette thanks for the big up. I thought number 4 was as almost but not quite good as Mistress of the Art of Death, which was an outstanding debut for the character of Adelia Aguilar. 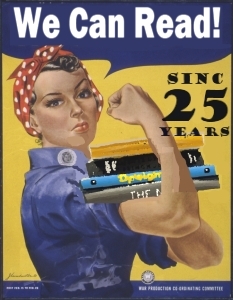 I like reading about strong women in past times. 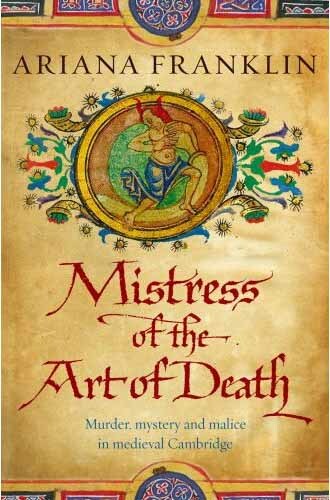 I’ve heard about Mistress of the Art of Death and hope to read it! I had not been a fan of historical fiction, although I’ve read a few non-mysteries in this genre and liked. But, in general, I stayed away from this genre. I’ve read a few books by Anne Perry, which were o.k. Then I decided to start reading about Adelia Aguilar. That turned my opinion on its head! I loved the first book — which I had purchased as a gift for a retired health care professional and lover of historical crime fiction. She raved about it. So then I read it and loaned it out to other women readers, who all adores it — those who are not mystery readers, too. I will read the rest of the series eventually, but like Sjowall/Wahloo, Camilleri and some others, I want to save them for special times an savor them like good desserts.